Let’s start by introducing a few funny Finnish competitions..
And yes, there’s a World Championship which exists in all these fine sports! There’s various stereotypes about different countries and nationalities. However, many of those stereotypes have at least a grain of truth in them. Most Finns are shyish, rather calm and quiet and used to a big personal space, small talk is rather unknown and the language is complex with its multiple declinations and oh, the word “please” doesn’t exist. 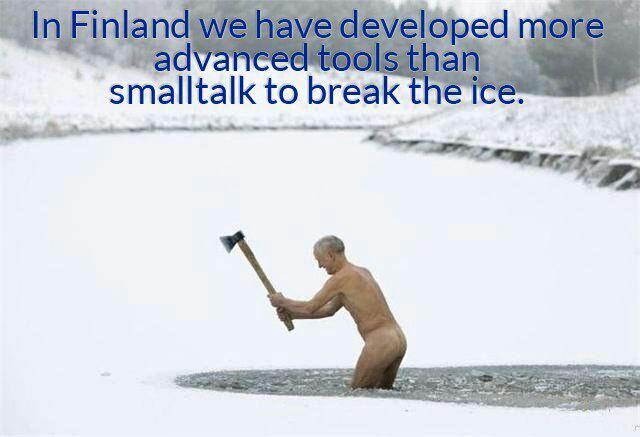 This doesn’t mean though that Finns would be rude, most of us are just… modest. And we can make a polite request other ways than using this exact word. What all these more or less accurate stereotypes tell of Finnish people then? Finnish people appreciate talking when there’s something important to be said and words are taken seriously. We have also a lot of well describing and very exact words to make the point quickly, long explanations aren’t needed. Calm talk is often preferred over intense discussion or debate. I once heard that Finnish is a language that can be spoken without interruptions as it’s possible to speak also when inhaling but ironically Finns aren’t that talkative. Maybe as the population of whole Finland is only a part of the number of inhabitants in some major European cities for example, we have had the possibility to get used to a larger space around each person. Maybe being modest has over the time been considered better than being too proud of yourself. And our language has surely developed around the things that have been important such as describing the snow – there’s tens of different words for that topic! Speaking of snow, the weather with its dark and long winter time must have also had its effect on the nature of Finnish people. 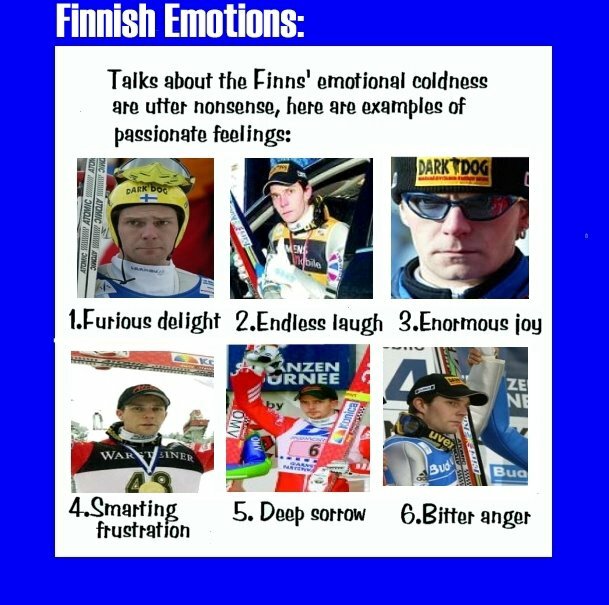 I was once told as an honest observation that “the spring has come, Finns smile again”. 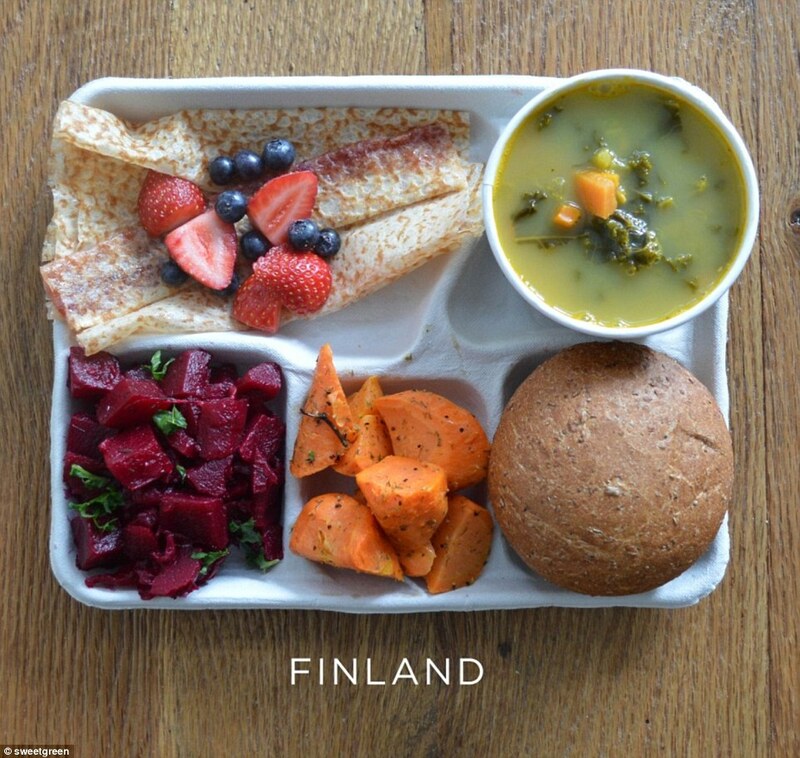 But what things make Finland what it is? Sauna, lakes, bright summer nights, calmness, quietness and cleanliness, sisu, foods such as mämmi, liquorice (salmiakki), rye bread, karelian pies and Fazer chocolate..
For now, I’ve lived abroad twice, once longer. When coming back to Finland after two years spent in France I noticed something peculiar, I was being far too polite. And the people didn’t really know how to react to that so they mostly just ignored my courtesies. I also remember the moment of receiving my very first cheek kiss from a Greek friend, she just hopped up from the bench and mooched my cheeks. I was horrified as it was something completely unexpected for me. With a completely empty head and lack of time now during the summer I am finding myself sitting at my computer and writing this text – or to be exact, I am thinking what should I write here. My head is empty, but I’m sure I’ll get something soon. I wake up every morning either at 6:10AM or 5:10AM and go to work, I get home around 5-6PM and head directly to the gym. By the time I get home after all the “must do” activities I am hungry as a Lion and there is no way I can sit down and put my mind into a school task which tells me to write about a Finnish culture – which I still do not understand till this very day, even after me living in Finland for the past 24 years. Nevertheless, I can say a word or two about the things I became familiar with during my long life in Finland – if you can call 24 years a long enough period of course. Rallienglanti. 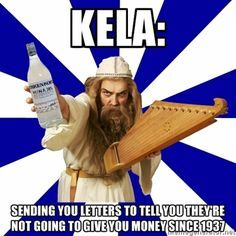 Yes, this is something we “Finns” know very well. Translated it means: Rallyenglish or to describe it differently it means: broken English with twisted pronouncing. It is common, it sounds funny and it is a big part this country. Sisu is the reason why Finnish people complaint day after another about an issue, but still never do anything about the actual problem, because let’s face it, complaining is easy behind the backs. The meaning of Sisu = gut. However, do not mix it with this sh**! This is one of the “traditional” Finnish “candy/sweet” and boy is it lovely! This is one of the most horrible things you can eat on the planet and it is a huge part of the Finnish culture. (yes it looks like it says Gifu, but that’s just the bad font on the package). Now, there is many more and I am sure many of you already know a few odd things and are familiar with Finnish habits and ways of functioning. The most common ones are probably already mentioned or will be written about sooner or later. I will make a quick memo on the things that comes into my mind about Finnish culture during the next minute.. Yes, I will time it. Since I have been living in Finland for 3 years, I have got a great impact of Finnishness on myself. When I come back to my home country, Ukraine, I find out that people behave in not proper “non-Finnish” way. First of all, politeness everywhere on Finland is my favourite Finnish feature. People are relaxed and not usually in a hurry, easily stop to help or advise. For instance, shop assistants in Finland are extremely polite: they smile, wish you a pleasant evening, have a small talk with you or joke (which actually sound normal and nothing special), but.. it never happens in Ukraine! All people are in hurry, running, afraid of strangers on the street. Shop assistants are sometimes rude if you take too much time. When visiting Ukraine I always get mad on shop assistants because I think they are screaming on me, forgetting it is normal in this country. -safety – I am not worried anyone will steal my thing on the street, public transport, I even can leave my bag on the chair and go order my meal! Poliisi is always around to help as well. – fresh air and clean tap water – better health and money spent on water saved are guaranteed! – salmiakki and any food with its flavour!!! why Finns always treat me with salmari shots at the bar?? -going to sauna before going to the club – how about looking fancy?make-up? You all know the funny stereotypes – always drunk, always quiet, always scared of people. Those are funny unless repeated ad nauseam. I am Finnish, but I lack the things that supposedly make a person Finnish. 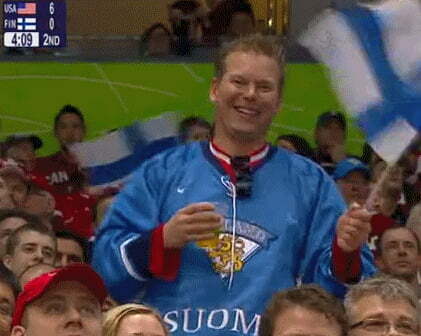 When I’m going abroad to study, I will present as myself first, but inevitably also as an ambassador of Finland. I chuckle often at stereotypes, but should we really plant this image in everyone’s minds? Imagine if everyone presented themselves as knife-wielding drunkard misanthropes abroad? I suppose this is part of the Finnish sense of humour. I believe it is good to have a sense of self-irony and joke about ourselves every now and then. But I also believe we should try to present or create more positive stereotypes in addition to the old. Finland is a country that has succeeded in rising from devastating conditions and create a welfare state with low corruption and high living standards. We have created many technological advancements. We even created the perfect pizza, Berlusconi. Amongst ourselves we often call each other fair, honest and hard-working. But why must we always push ourselves down when presenting us to foreigners? I will do my best to present the more positive aspects of being Finnish to the world – but I don’t even drink coffee or like salmiakki.